Escape your problems with PLUS™ Pineapple & Coconut powerful gummies. 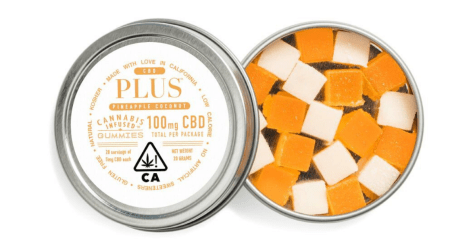 Whether you are just looking to relax or are dealing with serious chronic pain, a tin of PLUS™ CBD gummies is your ticket to relief. Made with 99.9% Pure CBD, PLUS™ Gummies provide respite without the psychoactive effects of THC.